Titan Restoration's fire cleaning services and smoke removal make use of state of the art equipment and fine-tuned processes that ensure your home including walls, ceilings and possessions are restored to as close to their original state as possible while minimizing the possibility of long term damage due to soot and ash dispersed in the air. BELOW ARE THE STEPS INVOLVED IN EACH PHASE OF A FIRE RESTORATION PROJECT. 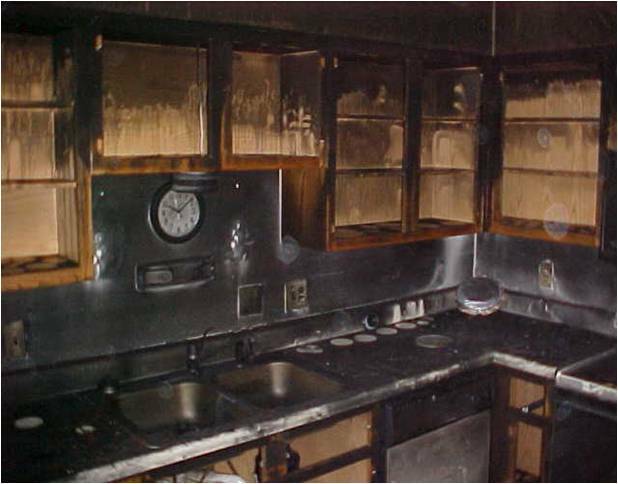 Normally, the structure is the first consideration in a fire loss. Our primary focus when we arrive on the scene is making sure that the building is secure by boarding up windows and doors, even installing a temporary roof or walls to protect the structure from further damage. Once the building is safe and secure, efforts to limit secondary damage from water and soot can begin. After the structure is secured it’s time to address the contents of the building or home. Those contents that haven’t been directly affected by the fire have potentially suffered water damage, exposure to soot and have certainly been overwhelmed with smoke odor. 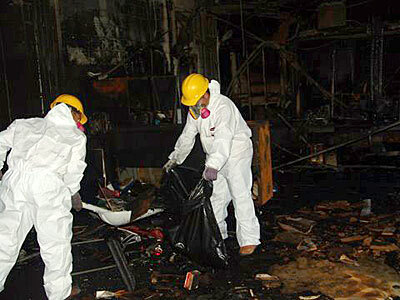 The important step of carefully documenting and removing all the contents from the affected area is next in the process of fire restoration. Most contents can be dried, cleaned and deodorized; clothing, furniture, even jewelry, art, documents, photos and electronics can be restored to pre-loss condition. But it’s important to begin this process right away to protect the contents from secondary damage caused by odor, water or soot. Often that means moving the contents off-site, so it’s critical to have an experienced, conscientious restoration company on the case to evaluate, coordinate and execute the contents restoration phase. A necessary, but destructive, element in a fire loss is water. Water travels everywhere and can damage contents and the structure in ways not immediately apparent. Among the first steps in handling a fire loss is to determine the extent of the water migration, extract as much water as possible and begin drying the structure. A combination of air movers, dehumidifiers and controlled demolition will effectively dry the building and prevent mold growth and other damage. A quick response to a wet structure is nearly as important as putting the fire out. The longer a structure sits wet, the more time and money it takes to return it to pre-loss condition. The experience of knowing where and how to concentrate the drying effort makes all the difference when it comes to drying a structure. When it comes to putting things back together, any contractor can repair the damaged structure, but unless all the soot is removed, odor will be an issue long after repairs are completed. We believe strongly that a thorough approach to control and eliminate odor is the most important component in a fire restoration project. Smoke, particularly superheated smoke from a fire, will find its way into every nook and cranny of a building. It will infilitrate every cavity, pushing its way through cracks in floors or gaps in framing and settling as soot on all the surfaces, vertical and horizontal. That’s why it’s important to follow the path of the smoke and investigate every possible hiding spot to ensure that all the surfaces are cleaned before finish work begins. In addition to the wide range of training our project managers and technicians receive, they are specifically trained in odor control and the measures to take during the initial phases of reconstruction to ensure that when our work is complete odor is a distant memory.